Child Abuse: Resources for reporting child abuse and information. Child & Adult Care Food Program (CACFP): Provides nutritious meals and snacks served to eligible children in child care centers, family child care homes, and outside-school-hours centers. Communication Works : A pediatric speech and language clinic that provides evaluation and therapy for children who have communication challenges. Specialists are available to work with children who are late talkers, have speech sound delays, may be on the autism spectrum, or have other conditions that affect early communication. Early Childhood Professional Records System (ECPRS): Professionals in early childhood can use the Professional Records System to document and store their professional information such as employment history, education levels, and training documentation. Early Childhood Training Center (ECTC): Provides support and training to staff working with young children and their families, and serves as a resource to parents and families. Early Learning Connection Partnerships (ELC): Building an effective, coordinated system for preparing, supporting and recognizing the early childhood care and education workforce in order to provide high quality programs for young children and their families. Early Learning Connection Training Calendar: A Web-based calendar of early childhood and school-age (out of school-time) offers a searchable calendar of training opportunities statewide so can select a location near you. Early Childhood Education Professional Development: Training and Technical Assistance Glossary: This glossary is being made available by NAEYC and NACCRRA. The glossary is intended to serve as a guide for states to adapt and adjust as needed to meet their specific needs. The definitions are also designed to provide common understandings, or starting points, for research and national or cross-state discussions. Educational Service Units (ESU): These facilities provide a variety of resources including support for children with disabilities and their families. First Book: First Book is uniquely positioned to become a leader in providing digital resources so that children in need don’t miss out. No matter how formats and technologies change, children from low-income families will still need access to rich and varied content. First Book is helping guide the publishing industry as it evolves so that all children can benefit from new technologies and flourish as readers. Health and Human Services System (HHSS): Nebraska Health and Human Service System. Licensing Requirements: HHSS is responsible for monitoring and support for licensed early childhood programs. 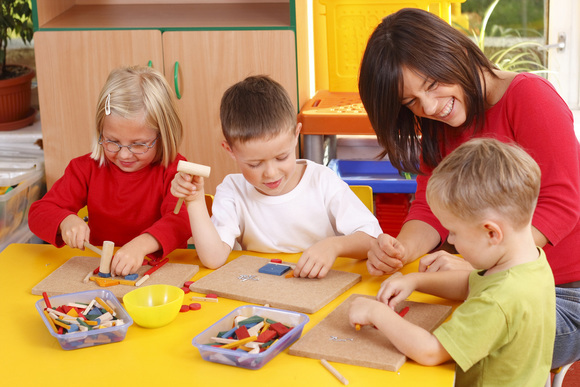 Licenses are available for Family Child Care Homes I & II, Child Care Centers, and Preschools. Child Care Subsidy: HHSS provides financial assistance with child care expenses. Head Start State Collaboration Office (HSSCO): Developed to help build early childhood systems and support for all low income children and to encourage collaboration between Head Start and other programs. Holland Children’s Movement: Works to organize and motivate Nebraskans to take action on critical public policies impacting working families and their children. Kids Connection: A state children’s health insurance program (SCHIP) developed as an extension of Medicaid in Nebraska. Its purpose is to provide health care to low-income uninsured children. Licensed Child Care: This link will take you to a roster of the Licensed Child Care and Preschool programs in Nebraska. Mourning Hope: Mourning Hope is a grief support network for children, teens, young adults and their families who have experienced the serious illness or death of someone special to them. Munroe Meyer Institute (MMI): Specializing in working with persons with genetic disorders and developmental disabilities. The focus areas are education, research, training, and clinical services. National Association for the Education of Young Children (NAEYC): Offers resources for early childhood professionals and families. Visit this site to find early childhood education information for adults working with children and their families. Nature Explore Outdoor Classrooms Nature Explore supports early childhood educators efforts to connect children with nature. Nebraska Department of Education (NDE): Dedicated to serving Nebraska schools and communities with resources and information. Nebraska Domestic Violence Sexual Assault Coalition (NDVSAC): A statewide advocacy organization dedicated to the prevention and elimination of domestic violence, sexual assault, and stalking that provides information, support, and guidance through training and technical assistance. Nebraska Family Child Care Association (NFCCA): Child care professionals dedicated to promoting quality child care. Nebraska Head Start Association (NeHSA): Improving, maintaining, and enhancing Head Start quality to ensure children and families have an opportunity for success. Planning Region Teams: 28 teams providing services and information about and for young children with disabilities and their families. Prevent Child Abuse Nebraska (PCAN): Building a statewide coalition of individuals, businesses, agencies, organizations and communities committed to preventing and eliminating child abuse and neglect. See To Learn: A pre-school eye care program that offers free vision assessments for 3 year olds by participating Doctors of Optometry. Step Up to Quality: Step Up to Quality is Nebraska's Early Childhood Quality Rating Improvement System. The system is to provide a path to higher quality for early childhood education programs.